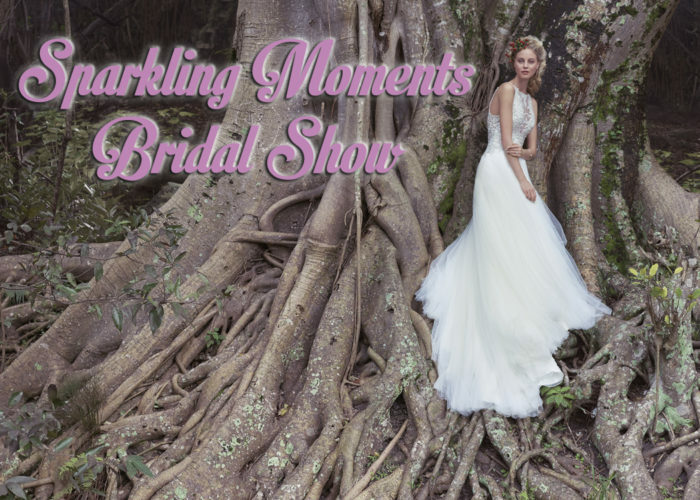 Join us for the 2018 Sparkling Moments Bridal Show! 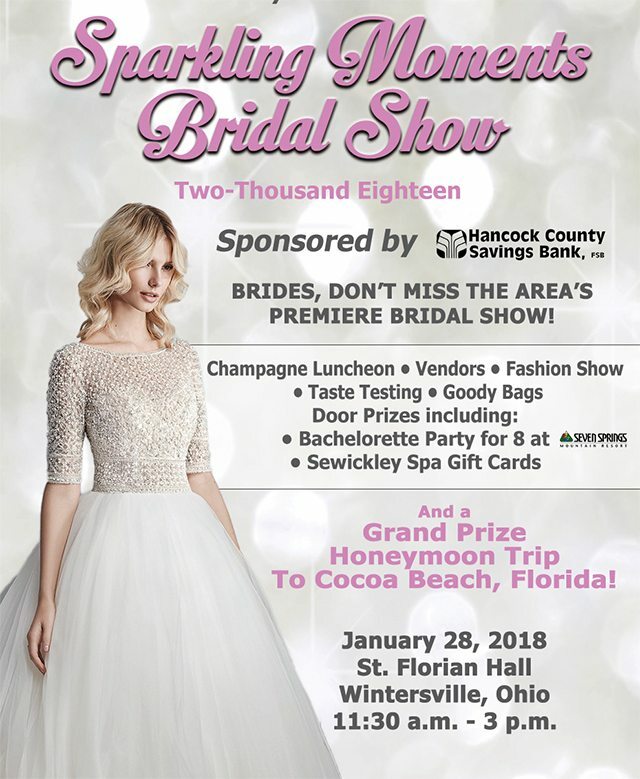 The eighth-annual Sparkling Moments Bridal Show is set to return from 11:30 a.m. to 3 p.m., Jan. 28 at St. Florian Hall in Wintersville. 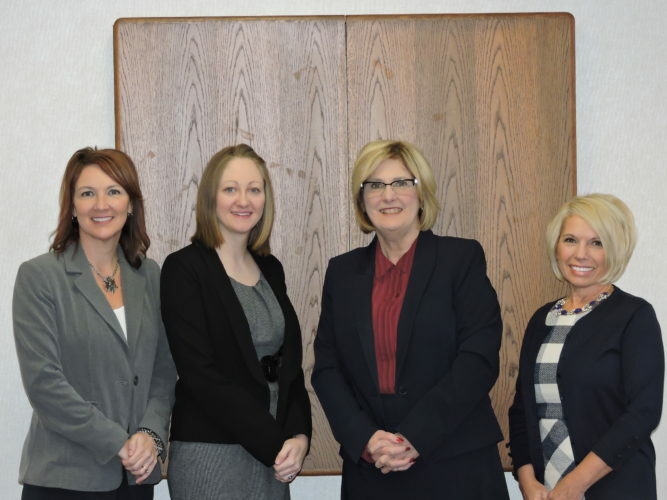 Organized by The Weirton Daily Times and Herald-Star, this year’s event is presented with support from Hancock County Savings Bank. 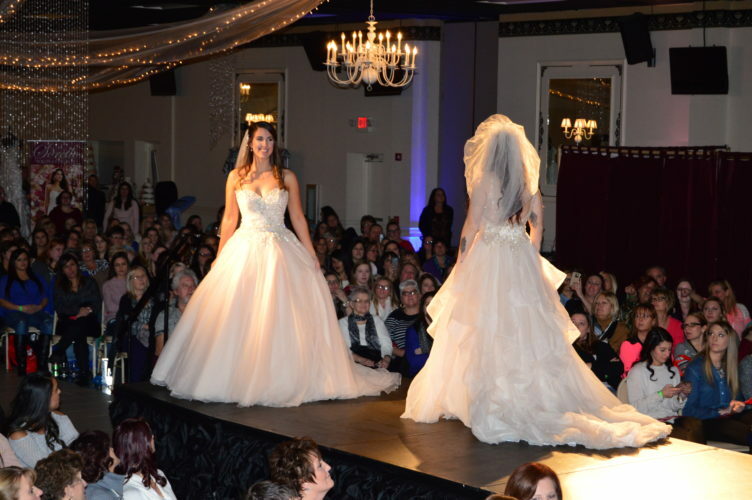 The fashion show, to begin at 2 p.m., will be presented by Sorelle Bridal Salon. Brides will be admitted to the show free of charge, and will receive a goody bag, lunch and door prizes. Brides must register ahead of time to attend, and can do so by using this form or by contacting Diana Brown at (740) 283-4711, ext. 353. Admission for guests is $10, and tickets are available ahead of time by using this form and also will be available at the door. Use the form below to register online and/or to order guest tickets! All guest tickets will be in the name of the bride and will be held at the will call window the day of the event. The opportunity to purchase tickets or register online has passed. Please feel free to register or purchase tickets at the door!